A new HP Envy AIO 27 PC is announced. Envy AIO 27 is completely redesigned by HP. The company slimmed down the overall footprint with a micro-edge display for a sleeker look. The Envy AIO 27 didn’t get 7th Gen Intel Kaby Lake, but instead you get 6th generation (Skylake) Intel Core i5 and i7 processors. All in One HP PC now includes up to 16GB of memory and up to a 256GB SSD and 2TB HDD combo. Now if you like you can add Nvidia GeForce GTX 950M 4GB graphics card, which is, of course, more powerful than the stock Intel HD 620 graphics. Nvidia GeForce GTX 950M can come in handy with the QHD (2560 x 1440) IPS touchscreen display. Four-speaker sound bar built right into the base, and you control the volume with an easy-to-access dial on top of the base. The Envy AIO 27 includes two HDMI ports and a USB Type-C port that supports video output. 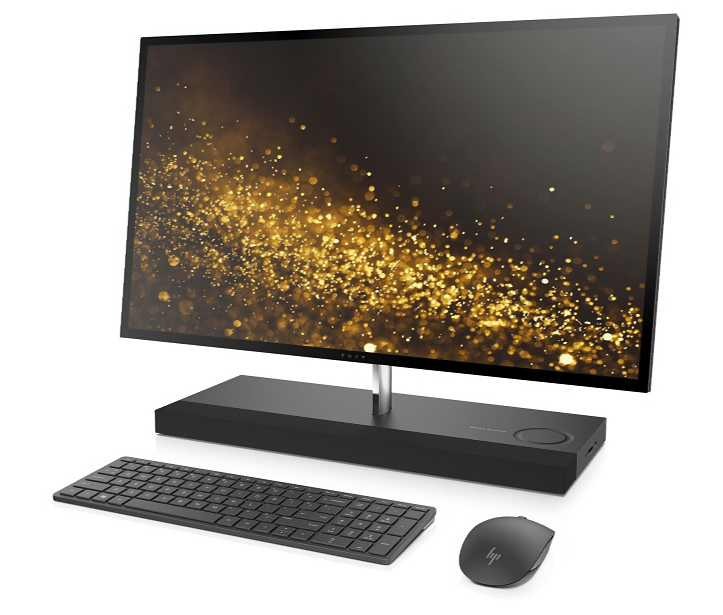 You can order HP AIO 27 PC later this month with starting price $1,300. HP also announced a new 4K (3840 x 2160) 60Hz IPS display. The latest HP 4K display adds AMD FreeSync support and 99 percent sRGB color accuracy. The Envy display includes HDMI 1.4, HDMI 2.0, DisplayPort 1.2 and USB-C ports. You can power a device via the USB-C interface with up to 60 watts of power. HP’s new 4K display will arrive on December 4 starting at $500. HP also announced new updated HP Envy 13 and Spectre X360 13 laptops with 7th Gen Intel Core processors.